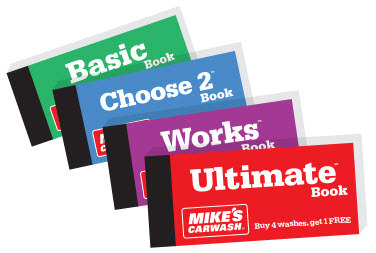 MIKE'S OFFERS BULK DISCOUNTS TO ANYONE WISHING TO PURCHASE OUR SINGLE-WASHES OR 5-TICKET WASHBOOKS IN LARGE QUANTITIES. NOTE: Bulk rates cannot be combined with any other offers or promotions. Only the 5-ticket books are available at the bulk discount rate.